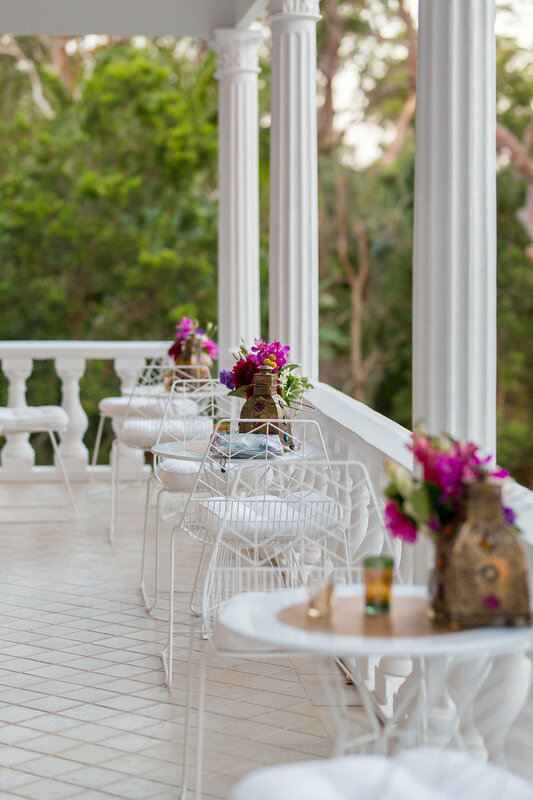 This beautiful private home was styled for a Moroccan inspired farewell. 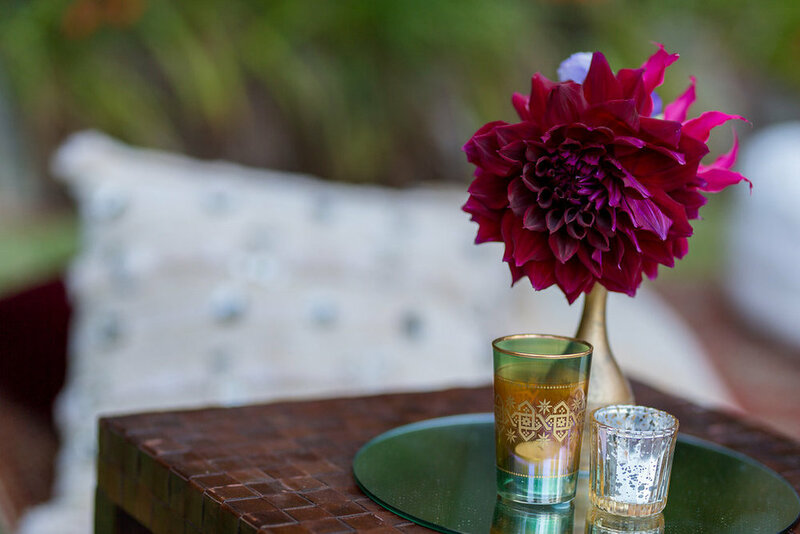 Colours of burgundy, gold and copper with bright florals against brown leather tables and moroccan ottomans. 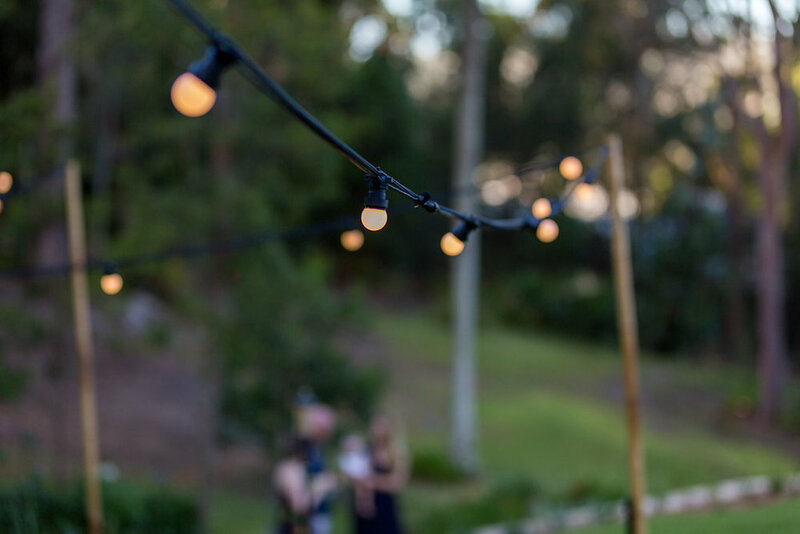 Festoon lights across the garden with carpets and floor cushions provided the perfect space for guests to enjoy the sun set and their surrounds. Guests were taken to Morocco and the food was inspired by Italy to start with an antipasto and cheese station that looked so incredible you didn't want to touch it. (but that didn't last long). Then for the main guests were taken to Spain with paella and the bar serving Sangria and finally for the sweets at the end of the evening to France with as assortment of petit fours and French Champagne served all night long. As the sun went down the festoon lights shone as did the lighting installed throughout the trees in the garden. Colours of blue, yellow and red created a magic atmosphere and transformed the space.